See a year at a glance with our annual planner whiteboard. The white board is 900mm (w) x 600 (h) and has an aluminium frame. 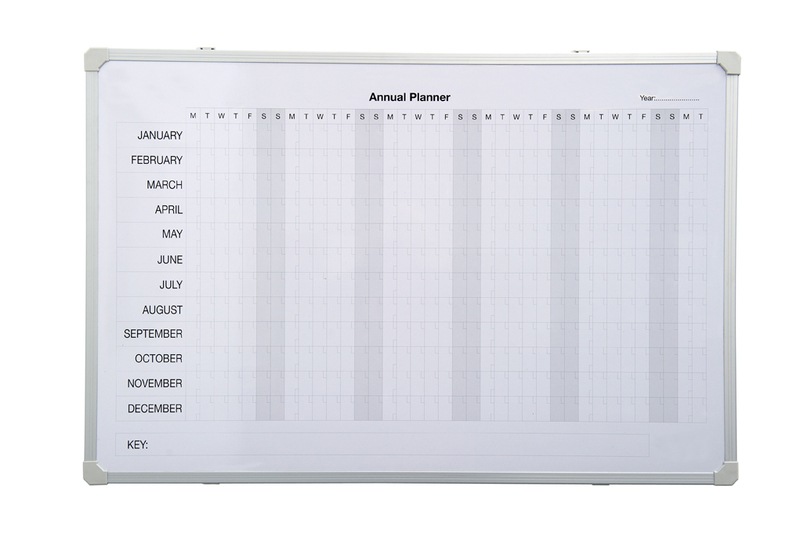 The magnetic drywipe surface is pre-printed with a yearly planner and has plenty of space for appointments and notes.